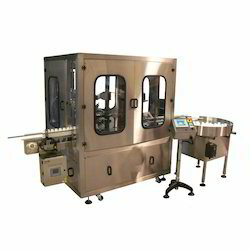 Manufacturer & Exporter of Liquid Packaging System & Liquid Packaging Systems. Our product range also comprises of RO Systems, Water Softener and Ultra Filter Plant. From the first day of our commencement, we provide the best quality of Liquid Packaging Systems. Used in different water treatment applications, these systems are easy to operate and require low maintenance. Rendered by us in various technical specifications, the quality of centrifuge dewatering systems is never compromised at our end.